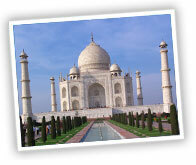 India Travel Tours packages in Gurgaon ! New Delhi! Mars Travelport is located at Sector- 29, Opposite Kingdom of Dreams, Gurgaon, Haryana India. The idea is to create a company to fill up the demand in the Travel & Tourism scenario of India; promote Indian culture and India Tourism across the world. And to execute an outstanding & memorable touring experience of world class level. With this in mind Mars Travelport is created in May 2012. A team of highly experienced travel and transport professionals that offer the best possible quality & on time services. With over 10 years of experience we specialize in planning, deployment & executing all types of transport & travel needs for individuals, groups, families, & corporates.